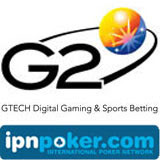 The International Poker Network (IPN) Bad Beat Jackpot has hit at an amazing €601,370 (almost $900,000), meaning a fortunate player won over €210,000. The hand in question was Quad 8’s beaten by Quad Queens, on a €0.50/€1 No Limit Table. “Roger2010”, the loser of the hand but winner of the Bad Beat Jackpot, won €210,508.50, whilst “(o1nfl1p”, the winner of the hand, won €105,254.25. The other players at the table each got €15,036.32. With a Jackpot requirement starting at Quad 6's, this is the easiest Progressive BBJ to hit on any poker site. The new Jackpot is already over €120,000. The IPN Bad Beat Jackpot was last hit in August for $412,000. That winner wasn’t even aware he’d won it until someone else at the table pointed it out to him. He thought he’d just lost the pot despite having a great hand, which is frustrating for any poker player. To qualify for the Bad Beat at IPN poker rooms, players must be at a designated Bad Beat table and use both pocket cards in their winning or losing hand. The losing hand must be four-of-a-kind sixes or better, the lowest qualifying requirement of any poker network. Four or more players must be dealt into the hand.